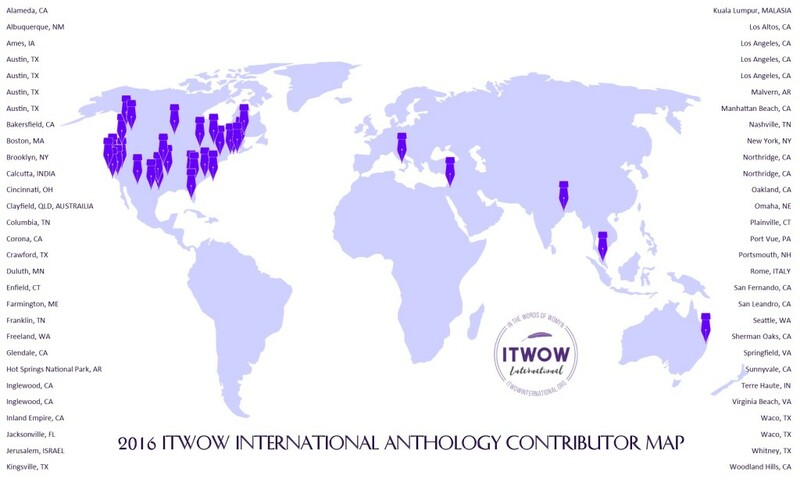 We (Sarah Frances Moran, Yellow Chair Press Founder & Editor-in-Chief and Jenuine Poetess) are delighted to announce that the ITWOW Anthologies are beginning to be shipped to all her contributors. They will be coming to you from Createspace and will be going out in groups throughout this week. Please give a good 10-14 days for yours to arrive and a little more time for internationally shipping. If you have not received your copy by **May 25th** please let us know so we can look into it. this #gorgeous #Anthology by #ITWOWinternational & #YellowChairPress spans 6 countries, 4 continents, 71 writers, from richly diverse cultures, identities, roles, religions, ages, languages, places, spaces, and iterations of #becoming. my goodness this is a fine #literary #collection! CALL FOR SUBMISSIONS!! #rockthechair is a weekly challenge: send **1 poem only** by Fridays, notice on Saturdays, publish on Sundays. Check site for quarterly issue submission cycles. Sarah is amazing. Please send her your work...she wants more voices,YOUR voices to submit poetry, prose, & artwork!! "Yellow Chair Review is a literary journal accepting submissions of poetry, prose and art. Issues release quarterly. We seek to act as a safe space for both readers and writers from marginalized groups. We are particularly interested to see submissions from POC and the LGBTQ community. These same standards and practices extend into our Press." the more i engage with the ITWOW anthology working with Sarah Frances Moran at YRC press get it ready to print, the more in awe i am of the incredible, talented, deep, and soulful writers who gathered together to give sound to our story and volume to our voice exploring the I am and the I am Not of our beings and becomings. my goodness what a luminous work of art!! i can't wait for you all to hold her. soon! soon. 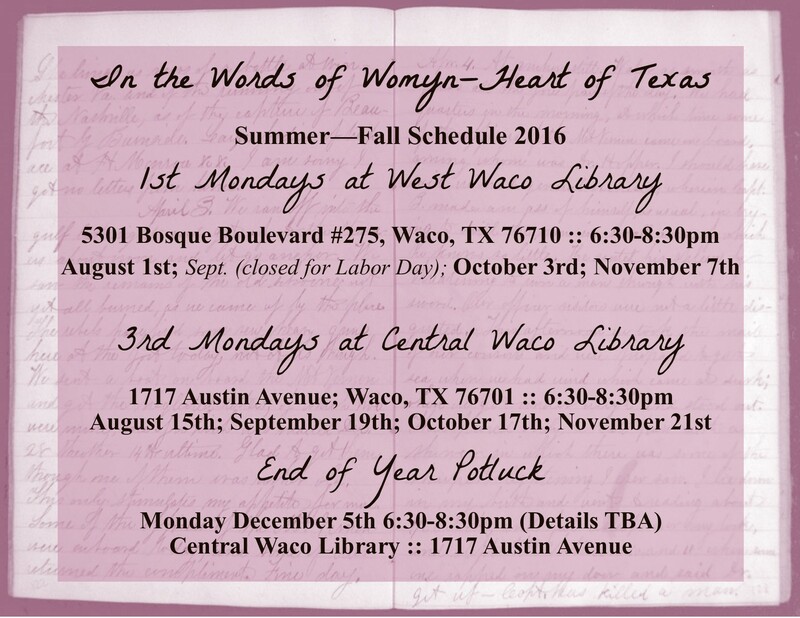 Please note our schedule for the rest of 2016!! Please bring a main, side, appetizer, dessert, drink, or plates/cups/utencils to share! If you are so inclined, bring a modest (less than $10) item for our free giveaway–anyone who brings an item gets to take an item. Let’s keep it fun and writerly themed–journal, pens, prompt books, etc. (It will be set up like a raffle but no money involved). We will eat and hang out; reflect on our year 2016 and look toward the new year! 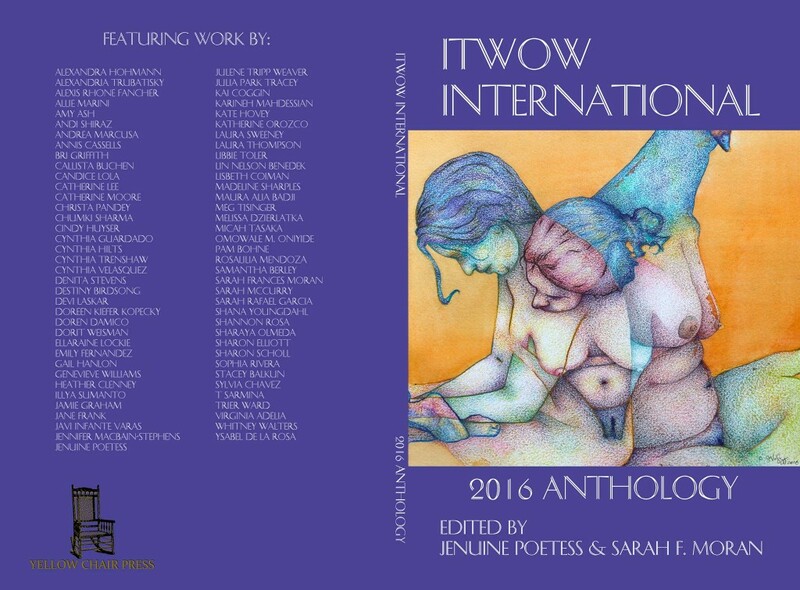 2016 ITWOW International Anthology :: NOW AVAILABLE! 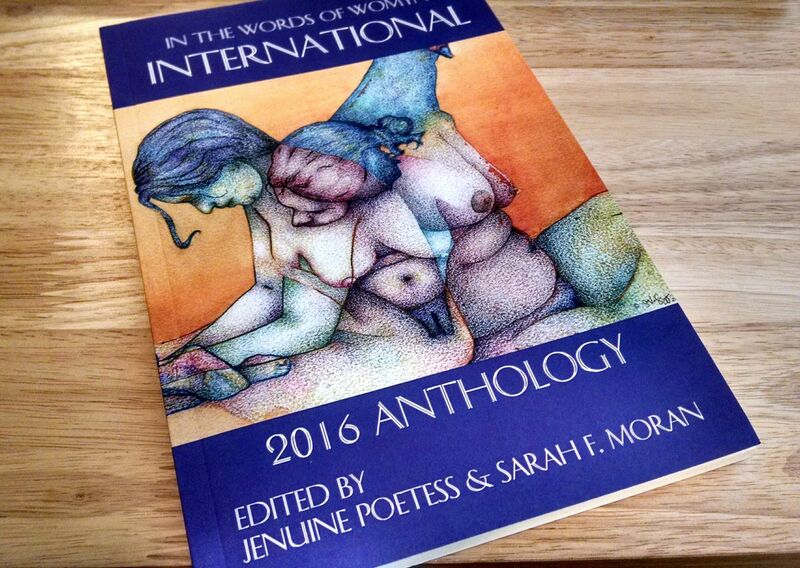 The 2016 ITWOW International Anthology is NOW AVAILABLE for purchase at CreateSpace. This volume includes poetry, prose, and cover art by the following artists from 6 countries spanning 4 continents! The proceeds from your anthology purchase goes to support ITWOW programming. 2016 ITWOW Anthology :: Coming Soon! We are so very thrilled to announce the publication of ITWOW’s very first printed anthology including poetry and prose of over 70 writers from all over the world. Set to be released in April 2016 by Yellow Chair Press we could not be more proud! And now…a peek at our gorgeous cover! Artwork by Cynthia Velasquez, design by Sarah Frances Moran. Check out our map of anthology contributors! Posted on March 28, 2016 March 28, 2016 Leave a comment on 2016 ITWOW Anthology :: Coming Soon!